I keep being served rice labeled Mexican rice, that is not Mexican rice, at least not Mexican Rice as I know it. Liquify 1 big tomato, 1 garlic clove, 1 onion, salt, black pepper and a teaspoon and a half of cumin. Add some chilis if you like things spicy. Set aside. Soak 1 cup of long grain rice in warm water for 4 minutes. Drain and let it stand for 5 minutes. Put a touch of bacon in a frying pan and warm it up to grease the pan. Add a touch of oil. Then add the rice and fry it until the rice turns golden brown. Turn the heat up on the broth. Add the liquified tomato mixture to the rice and fry for one minute. Now add the broth. Bring to a boil. Once everything starts boiling reduce the heat and cover loosely so the steam escapes. When the liquid has vanished, add a third cup of cold broth, cover and cook until it has also evaporated. My grandfather made ladies shoes. He didn't physically make them himself, he would cross the border and buy good ladies shoes in Laredo and then have a network of local leather men and cobblers make meticulous copies which he would then label with his Rudy brand (He was also a loan shark on the side). Everyone said his shoes were better than the originals. The leather was better, they lasted longer, etcetera. So some days he would drive around Monterrey and meet with men who tanned leather, cut leather, or dyed leather or who stitched shoes, or fitted soles, or manufactured shoe boxes. Some days he would drive around to the various shoe stores in the surrounding villages making deals for his shoes, and some days he would collect money or collateral from the people who owed him. I used to love to make the rounds with him always up front in those big wide seats of his 70's era Cadillacs or his stylish Ford Elite listening to Pedro Infante on the radio. We covered hundreds of miles on our summers together crisscrossing Monterrey and 50 miles in every direction. My memory of that time is dreamlike. 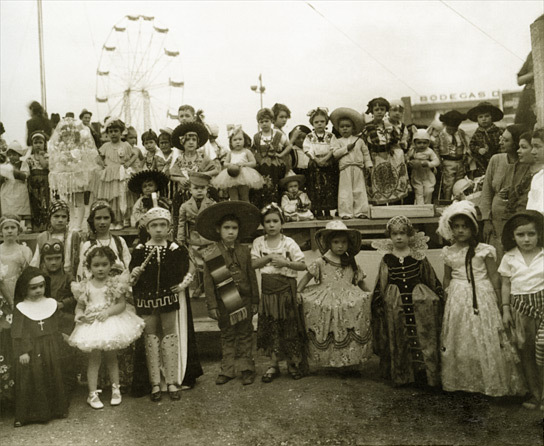 This was pre-Nafta Mexico in the 70's before everything started to look like everything else and many of the things I saw burned into the brain forming the foundation of my visual memory palace. I mention this, because Graciela Iturbide's images remind me of my memories and recalling people and places I saw on street corners and in markets maybe for a few seconds but who were unforgettable. There is not one good site showcasing the range of Iturbide's work, but you can find some of images here and here. If you are really interested, her books are a better bet. I received a nice email the other day from Alejandro Cartagena, a Dominican born photographer, who has lived for many years in the city of my birth, and the city closest to my heart, Monterrey, Mexico. Cartagena was a researcher on one of my semi-obsessions, a book titled Nuevo Leon, Imagenes de Nuestra Memoria and he is also responsible for a photo project I've been meaning to post titled Lost Rivers . If you've spent much time in that part of the world you know the significance of the often empty river beds that lead off into nowhere. 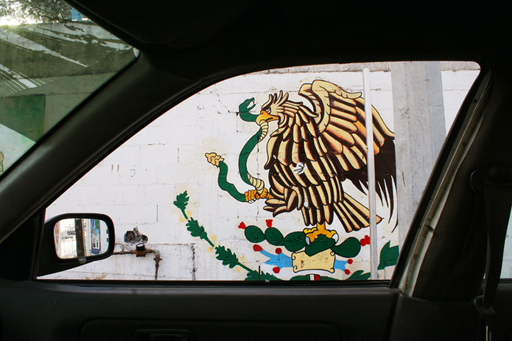 In fact Monterrey itself is split in half by a lost river, the Santa Catarina, that is a chaotic mix of sand, overgrown palms, squatter homes, markets, and soccer fields. 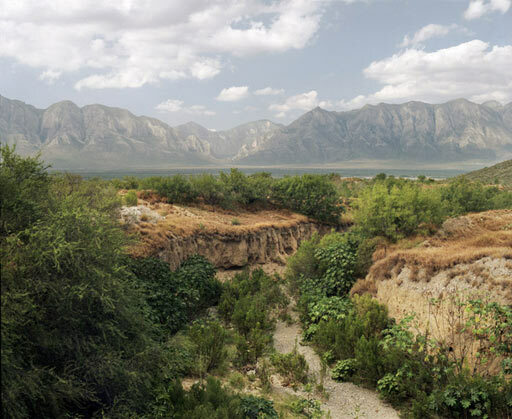 But you don't have to have experience in Mexico's northern states, to appreciate the melancholy of photographs of rivers vanishing into the dust; some photographs speak for themselves. I'm always surprised when my fellow photographers don't know the work of Romualdo Garcia. 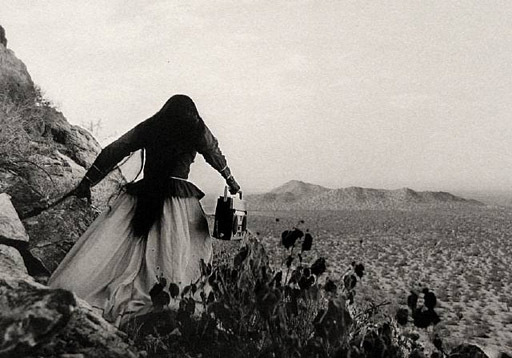 After Manuel Alvarez Bravo and Agustin Casasola he's one of the icons of early Mexican photography. 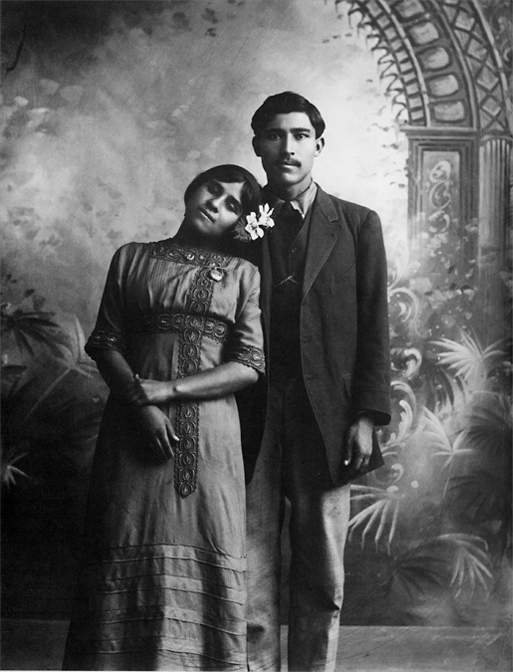 Garcia was based in Guanajuato where he ran a busy portrait studio for almost 60 years. Unlike most studio photographers who toil in obscurity his mastery was recognized in his own lifetime and he won the bronze medal at the 1889 World Exhibition in Paris. Despite his fame, he never travelled outside the city of his birth, always giving the excuse that there were too many clients waiting, too many portraits to take. There are several Spanish language books on Garcia. The best is probably Romualdo Garcia, un fotagrafo, una ciudad, una epoca. I have no idea where you would find this book in the US, but if collect photobooks and find yourself in Monterrey, pick up a copy of Nuevo Leon, Imagenes de Nuestra Memoria. It is chock full of images that will knock you out. As a side benefit you get a several pictures from "La Nevada", ie the day it snowed for the first time in recorded memory, otherwise known as the day I was born. Feel like seeing some great photography? 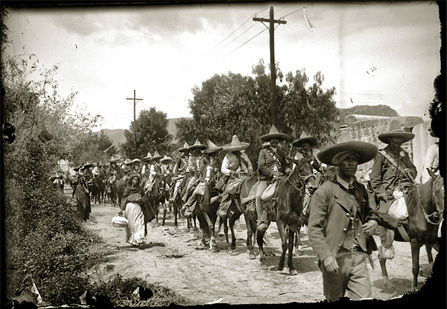 Head up to The Museo del Barrio for "Mexico: The Revolution and Beyond, Photographs by Casasola 1900-1940" It's at Fifth Avenue at 104th Street, (212) 831-7272, through July 31. These photographs are especially interesting to me because my grandmother's father was one of those guys in hats. He was a major in Pancho Villa's army and was famous (infamous?) for his sword work. We're heading to Pennsylvania for the holiday. The last time we went down Jenn’s evangelical aunts hired a Korean prayer lady to speak in tongues over us. This did not freak me out. When I was a kid I spent my summers in Mexico and in our neighborhood there was an old woman said to have a third eye. As she was missing one of the eyes on her face I always wondered if this meant she had 2 hidden elsewhere. She had a thick brush of mustache, too many moles to count, and occasionally she would shout things that would make my blood run cold like, "Don Jose, Jose Flores, dead man, stop scratching me". I used to buy firecrackers and popsicles from her. It was said she had a death finger and if she pointed it at you for more than three seconds your days were numbered, so after doing business on her porch (always with exact change counted beforehand), I tended to run for my life. Anyway the point is that after that experience having some cute Korean harmoni (with both eyes intact) yim-yam over me was no big deal.